Discover the quick and successful way to puppy train with a Fido Studio Dog Crate, or for the ultimate in versatility go for the Fido Nook which combines a cosy dog bed with a removable crate. 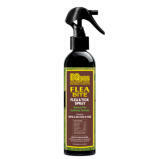 You'll also find a great range of Dog Toys and Grooming Essentials to help keep your dog in top condition. The Omlet dog guide covers everything you need to know about looking after your dog. 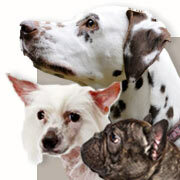 Use it to help you find your ideal dog breed and learn how to make him feel like a member of the family. There’s lots to discover from crate training to removing ticks and from choosing the right dog breed to controlling barking. With an amazing 200 dog breeds in the world, and lots more crossbreeds and lovable mutts besides, choosing the right dog can be tricky. Our dog directory makes it a little easier, with overviews of the most popular breeds, descriptions of typical traits and characteristics, and notes on each breed's origins and the jobs they were first bred for.